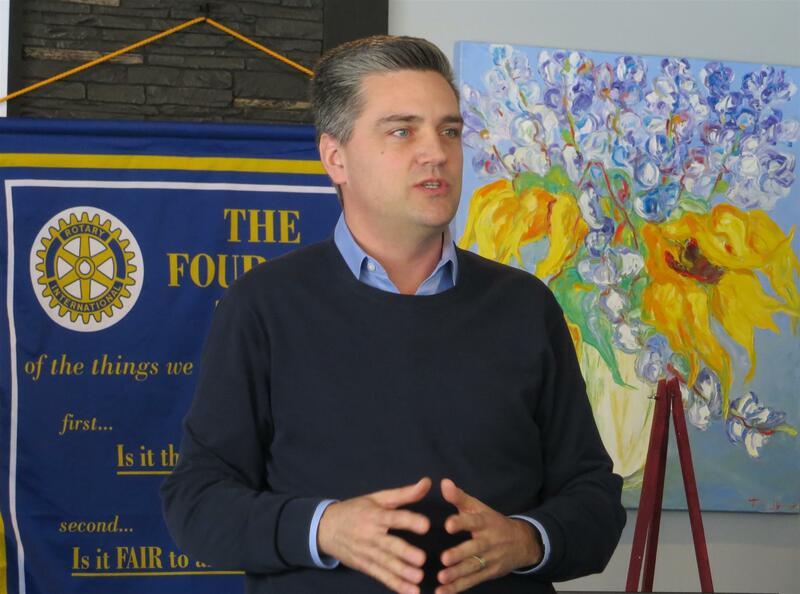 Kamloops-South Thompson MLA Todd Stone was the guest speaker at the March 11 meeting of the Rotary Club of Kamloops. Todd gave us an update on Budget 2019 and an overview of what's been happening at the BC Legislature since his last visit (SPOILER ALERT: It's been eventful...). Rotarian Fred Legace of Daybreak also updated the club on the activites of the Rotary Youth Leadership Academy (RYLA) and challenged our club to sponsor more worthy local students than Daybreak.